I know what some of you are thinking. Why am I reviewing an accessory for the Surface Go on an Apple and iPad-centric site? Well, in case you haven’t seen, I have already written about the fact that I own a Surface Go on a couple of occasions. I picked one up right after the new device launched, and I liked it enough that I held onto it, and I still use it today. In fact, since I sold my iPad Pro in preparation for the coming new model over a month ago, I use my Go pretty often these days. 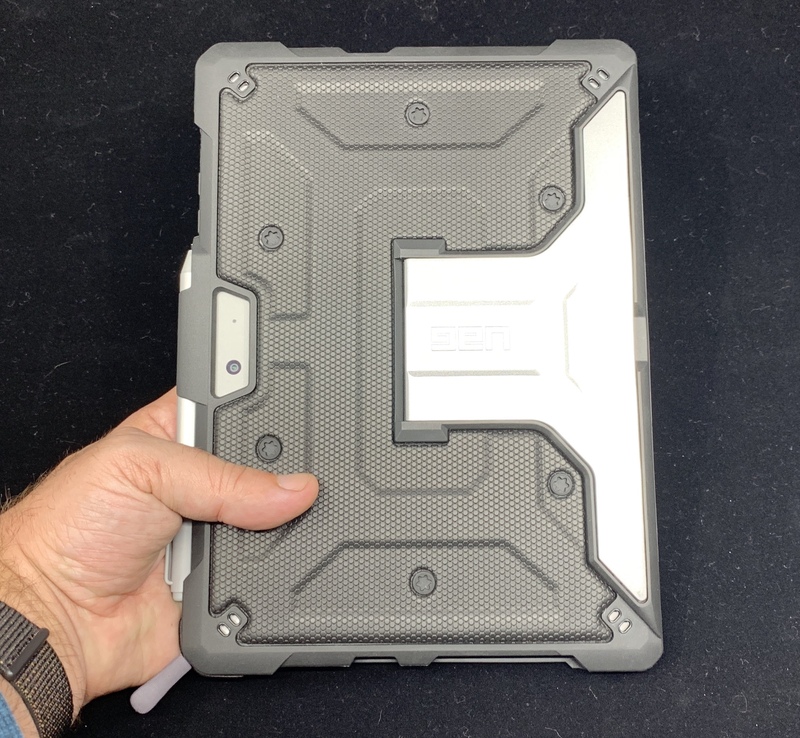 I have never been a fan of using a tablet without a case, and I have been a big fan of UAG’s for a while now, as you can tell from my recent review of the new Monarch case for the iPhone XS Max. 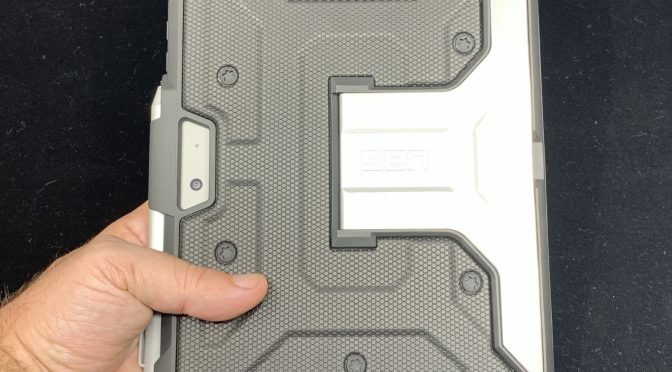 While I have used and reviewed a few UAG phone cases, I had never tried one of their tablet products before this. As such, when I was offered the opportunity to review the Metropolis for the Surface Go, I was excited to give it a shot. I have used the case for about a month now, and if this tells you anything, I will keep right on using it now that this review is published. The Metropolis has a really well thought out design, overall. 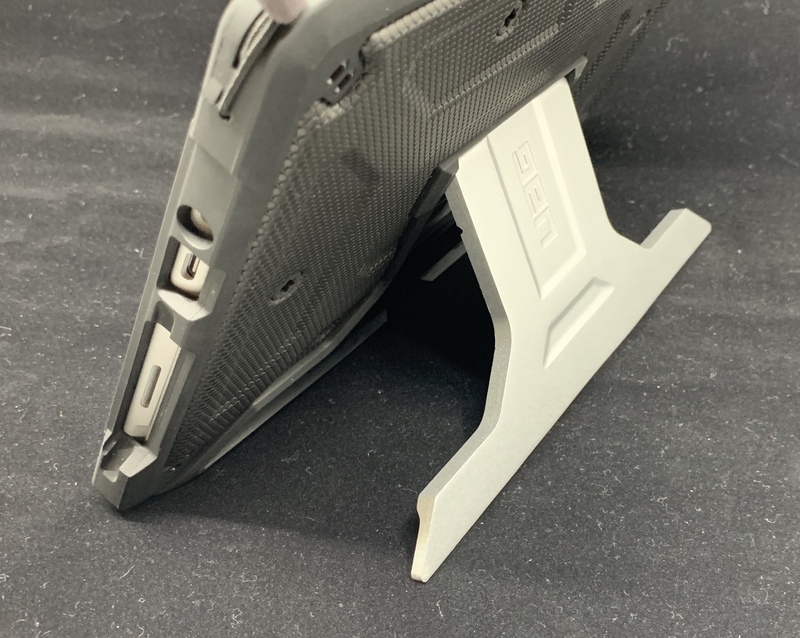 As I have said about UAG’s phone cases, they strike a great balance when it comes to padding, weight, thickness, and the all important factor- price. First off, this case offers plenty of protection without adding a lot of weight. The Surface Go is a slim and light tablet, so this case suits it very nicely. As for protection, the Metropolis offers military grade MIL STD 810G 516.6 drop protection when paired with the Surface Go’s Type Cover. As you can see below, the corners and back of the device are well protected with rubberized material. As you can also see above, all of the cutouts for ports are just as I have come to expect from UAG- lined up perfectly. Going back to the Type Cover, UAG did a really nice job of making the Metropolis versatile for those who use this accessory with the Go and those who don’t. Out of the box, the case provides full protection all the way around the Go. 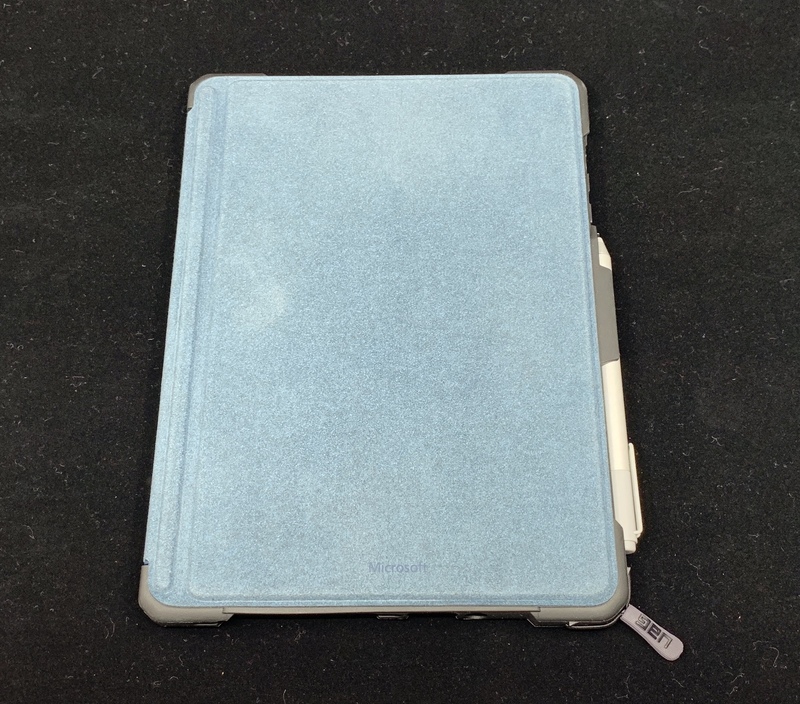 This is how you would use the case if you prefer to use the device in “tablet mode,” and either don’t need a keyboard, or are using a separate Bluetooth keyboard. 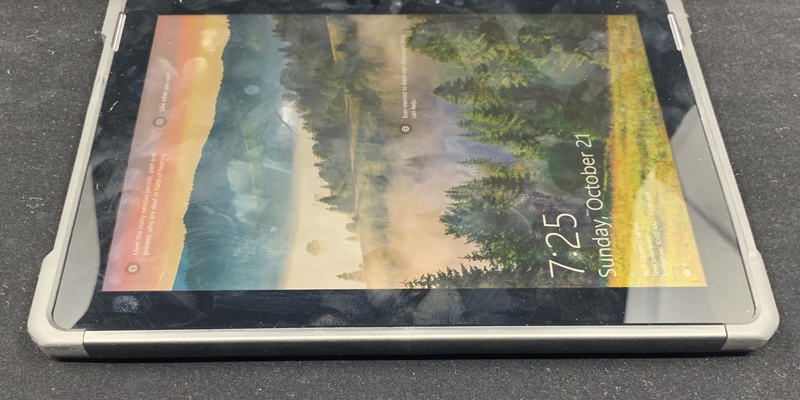 If you want to use a Type Cover with the Metropolis, simply remove the plastic insert out of the bottom (assuming landscape mode orientation) and you can easily connect it to your Surface Go. When the case is closed, it fits perfectly over the screen, and is a seamless fit with the edges of the case. If you are using the Type Cover, then you will also need a kickstand. 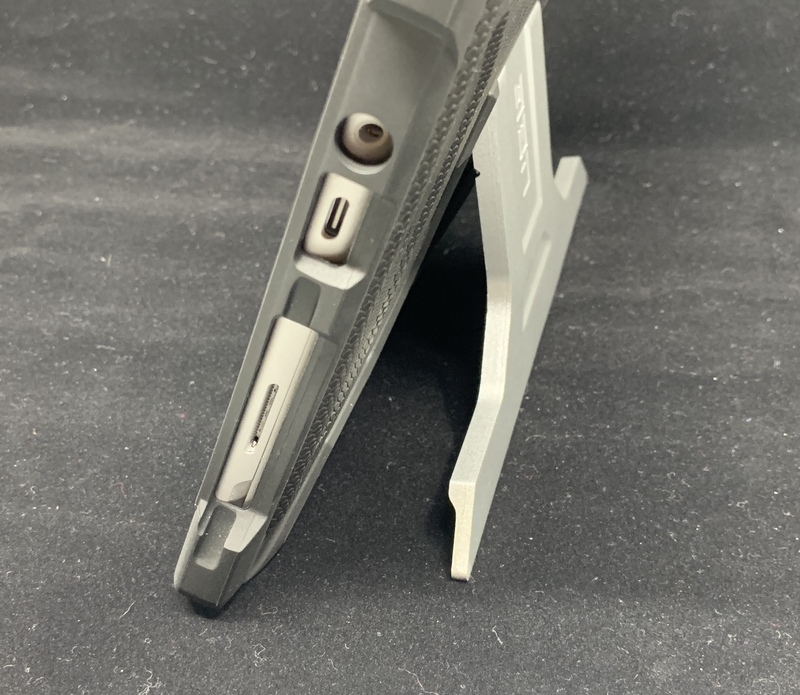 While the Surface’s kickstand has become well-known for its quality and flexibility, it is completely covered while in this case. UAG has provided a stand-in on the back of the Metropolis, however, while it is perfectly adequate, I will be honest. This is my only disappointment with this case. Microsoft set a very high bar with its built-in kickstand, and the Metropolis just doesn’t match it. That said, the case’s kickstand does work fine for the majority of applications. It can hold the tablet securely in one of two separate positions. I also like that kickstand’s all-metal construction should hold up over time. However, those two positions are just a lot more limiting than the Surface’s built-in kickstand. This is a trade-off I am willing to accept for the sake of great drop protection, though. I can always take the Go out of the case when I really need more positioning flexibility. This is something for buyers to be aware of, though. 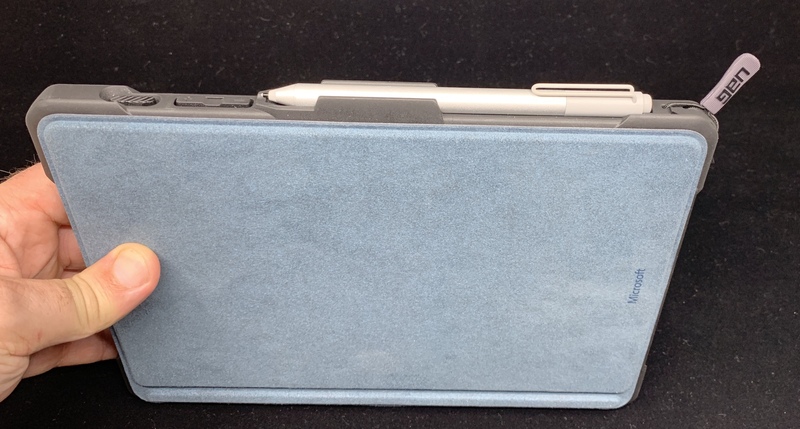 The Metropolis also has a built-in external Surface Pen holder, which comes in very handy. It is molded into the case and holds the pen very securely. I’ve never had any issues with it losing its grip, or with the Pen falling out. As for looks, the Metropolis fits UAG’s typical rugged industrial-looking design aesthetic, and that’s just fine in my book. My case came in black and looks very professional, overall. The metal kickstand also gives the case a nice accent, especially since it matches well with the Go’s finish. The black version of the Metropolis also pairs well with any color of Type Cover, as well. Visually and tactily, I also think it looks great with my Blue version and its Alcantara fabric exterior. There are also Blue and Red versions of the Metropolis for those who prefer a little more color on the case, itself. Tablets tend to get carried in the hand a good bit, so the feel of a case is important to me. The Metropolis fits this bill, as it feels very nice in the hand when carried. The exterior has just a little bit of give when you grip it, which I like. It makes me feel like my hold on it is more secure. 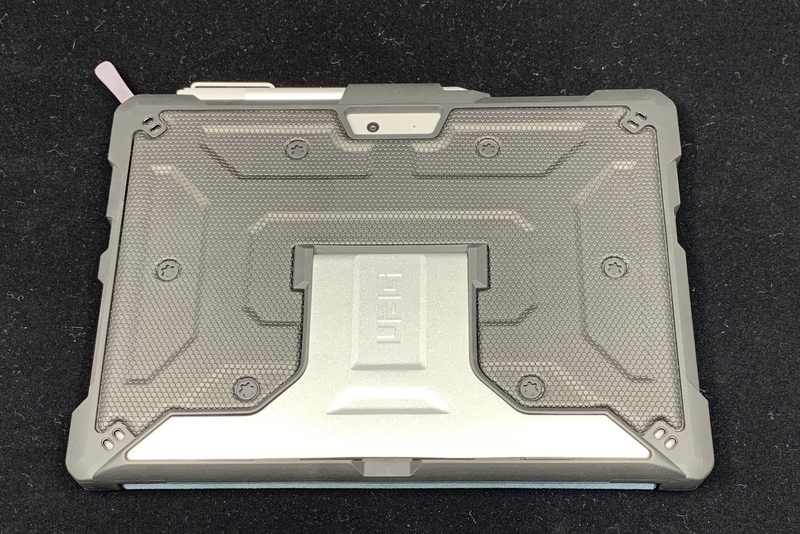 As I said at the outset, I have been using UAG’s Metropolis case on my Surface Go for a month now, and I plan to go on using it as my “daily driver” case for the time being. It looks good. It feels good. I have no trouble getting the Go in or out of it quickly. It works with or without the Type Cover. Oh, and it provides fantastic drop protection. This one literally checks all of the boxes for me. 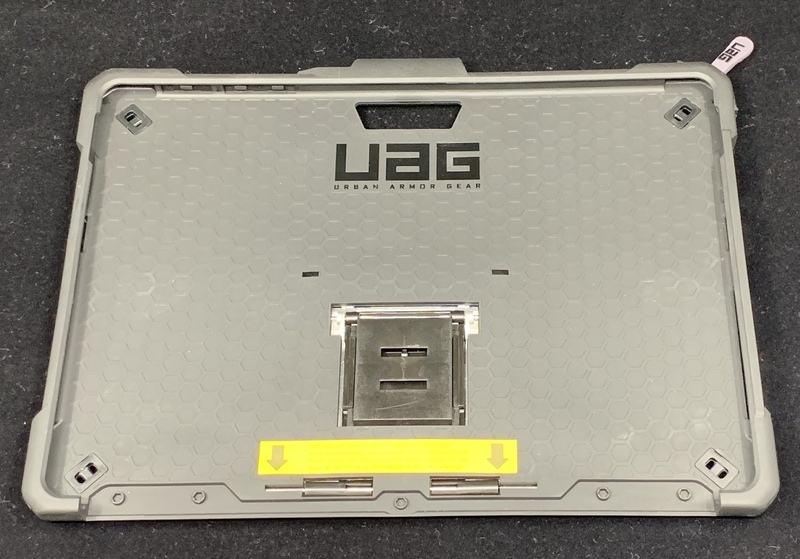 If you are looking for a versatile protective case for the Surface Go, you can’t go wrong with UAG’s Metropolis. The Metropolis case for the Surface Go is available from UAG for $69.99. 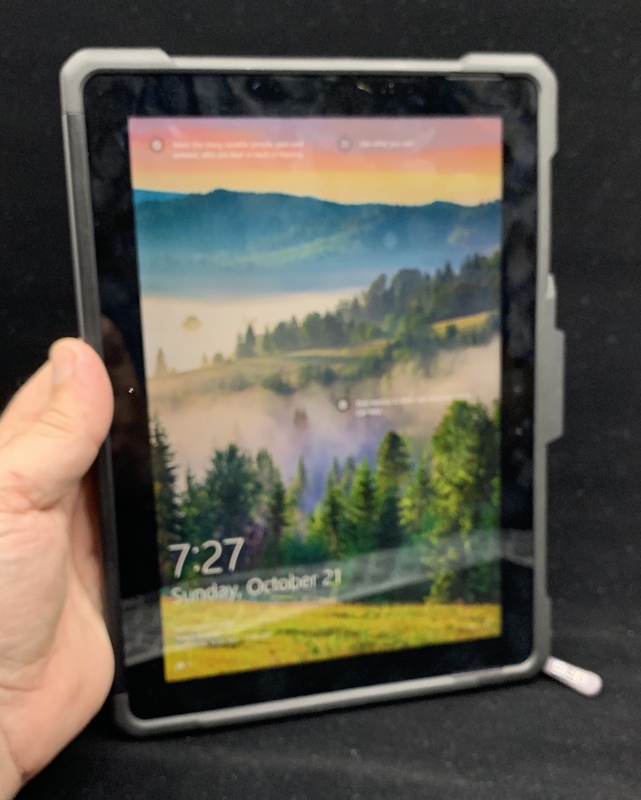 The Metropolis case for the Microsoft Surface Go was provided for review on iPad Insight by UAG. For further information regarding our site’s review policies, please see the About page.